A few weeks ago my husband and I drove to the top of Mount Stuart to take photos of a beautiful sunset. As we walked around the mountain's edge, waiting for the sun to lower its heavy orb onto the mountain strewn horizon, this little wallaby stopped not far from me. We watched each other, neither flinching, no fear in his bright eyes and no rapid movements by me to hurry him along. So he stood, almost relaxed, and quite at home in his natural environment - probably wondering what I was doing there so obviously out of place. I gently lifted my camera in front of my face and began to click away, taking more than twenty photos as my young friend turned his head this way and that like he'd posed for magazine covers on a daily basis for years. Then with what seemed to be a 'nod' of farewell he casually bounded across the rocks and out of sight. The sunset that followed was beautiful, but it didn't quite live up to the delight of my wallaby encounter. Like my mammalian friend, we too have a natural earthly environment - its where we live, the family that surrounds us, our circle of friends, the community we are a part of, our place of employment, the local shops we frequent, the sporting or hobby groups we engage with, our local church, the people on our street or in our neighbourhood. Today's Scripture passage reminded me that until Jesus returns, or my time comes to leave this temporary home and meet Him face to face in heaven, I must make my peace with dwelling exactly where God has placed me. And not just make my peace with it, but to cultivate faithfulness here - doing good, and trusting Him. You see for the longest time, I've been straining against God about living here. Bitterness had taken root and I could not see anything good about living in a hot and sticky tropical cyclone-attracting, mosquito ridden place. I greatly felt my discomfort and lamented being brought here against my will. I wept over personal desires for a cooler country life in another state not being fulfilled. My sweet old Pop, if he were still alive, would have described me as a misery-guts and he would have been right. I held on to my bitterness, my woe-is-me attitude, for far too long, and frequently shared my despair amongst those who love me. Worse, what a sorry burden I laid upon my sweet husband who had brought our family here in the hope of a better life. So gently, ever gracious, He opened my eyes and He put His finger on my heart. Like that Mount Stuart sunset, the day closed on my bitterness and the hope of new dawn began to stir. I can tell you today that I am where I am and I'm happy to be here. No longer do I cry out to be moved on, but I ask Him, "show me how to do good in this land where I dwell...cultivate within me a faithful heart so I can bring You glory...remind me daily of the blessings I'm blind to...change me from a selfish complainer to a generous rejoicer." I do not for one moment believe I'll never complain again, but I will complain less and less, and rejoice more and more, because He is at work within me and He is faithful. Download today's Scripture card and devotional HERE. Thank you for your reflections, a gentle reminder and for sharing your journey. I am new to your blog and am really enjoying your beautiful embroidery designs. Thank you, thinking on that scripture and your story made me think of all the times in the past I have struggled against a situation I was in (just like now, LOL), instead of accepting the situation as it was. I wonder why we need to learn acceptance over and over again instead of just accepting a situation straight away. And the next verse reads “Take delight in the Lord and he will give you the desires of your heart,” (NIV). 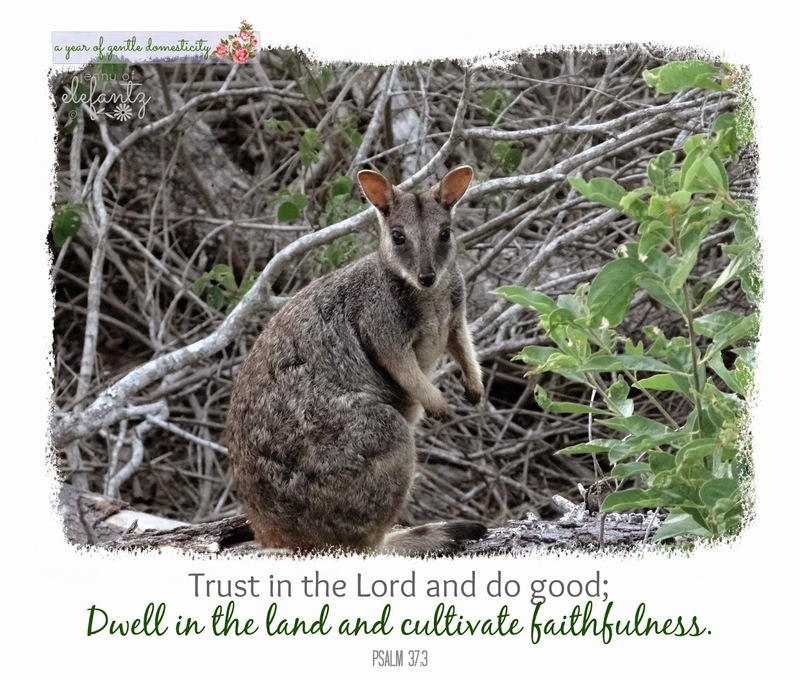 Do you think by “taking delight in the Lord” rather than the situation changing (though it sometimes does), we are changed and find our heart’s desires in the situation we were formerly vilifying? He sometimes has such gentle ways of reminding us that it can always be worse, even when we think we know better. Such transparency you share with. We lament over the smallest details of our lives, don't we? When we have so much to be grateful for. Thank you for sharing your heart, yet again. And gently reminding us to be grateful for all that we have and to open our hearts and selves to His calling and ministry. Jenny, thank you for letting God use you to touch others, I really needed this today. Flying home right now from a blessed week with my kids & grandkids...to my home in a retirement community. Happy to see my husband. Not happy where we live. 10 years of living in the desert, both literally and figuratively. Constant internal struggle with resentment. I will win this battle and learn to rest where God placed me. I will, God helping me. Growing where we are planted...sometimes it is difficult for our roots to be transplanted, especially when our roots long for different soil! But God knows what is best for us! God also gives us help...new friends, beautiful scenery, new places to explore, new/renewed passions. Just think of the witness you are being for God and all the people you are showing what a Godly woman looks like! Blessings to you on this beautiful Sunday! 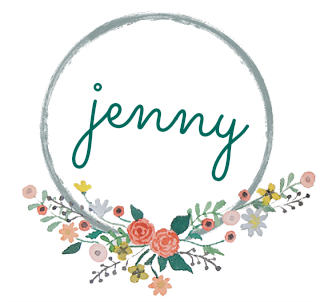 Jenny, thank you for your vulnerable sharing of your struggle and God's work in your life. Your words challenge me. so lovely Jenny. Thank you for sharing. That wallaby... awwwww! These are such wonderful words, Jenny and a reminder of a time when I thought the same thing. Jeremiah 29:5-7 was a great encouragement to me to seek the good of the city/village where God placed me. God is glorified when we change our attitudes to delight in Him and His plans for our life. It's so funny how parallel we are so often! I have been thinking for the last couple of weeks, with growing urgency, that it's time to stop complaining about the weather here. It's the only thing I don't care for about this place, but I've let it supersede the good there is in so many instances. My promise to my Heavenly Father has been to stop being such a complainer (like you, I know it will still come out sometimes - and I suspect HE wouldn't believe me if I promised otherwise! ), and start to concentrate more on the positives here where I am, and finding others to distract me from myself. Thank you for sharing this reinforcing verse today! Love the wallaby!